Please join me on Earth Day for a Breathwork Meditation. 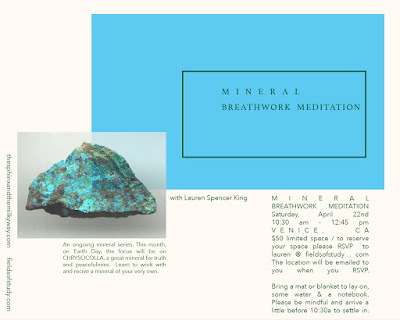 This is part of a series of Mineral Meditations. This month we will focus on CHRYSOCOLLA.